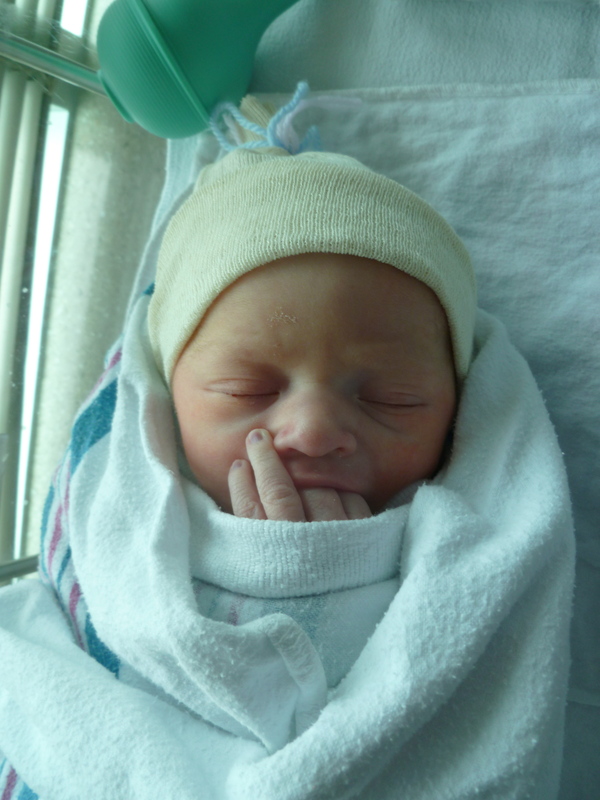 Welcome to the World, Elijah! Well, this is the latest Bean Update. Bean has arrived! And its a He! 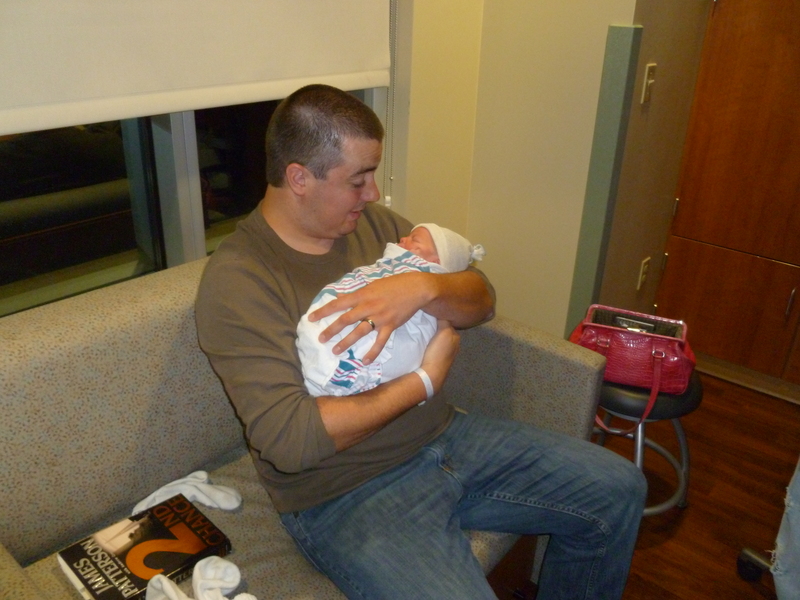 Elijah James Zook was born on May 31 at 11:35 PM. 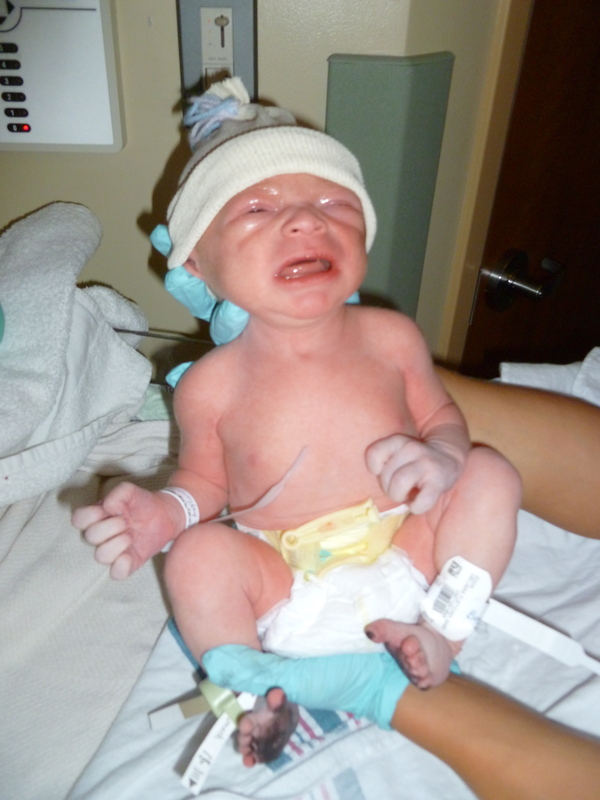 He was 6 pounds 9.3 ounces, and was 18 inches long. 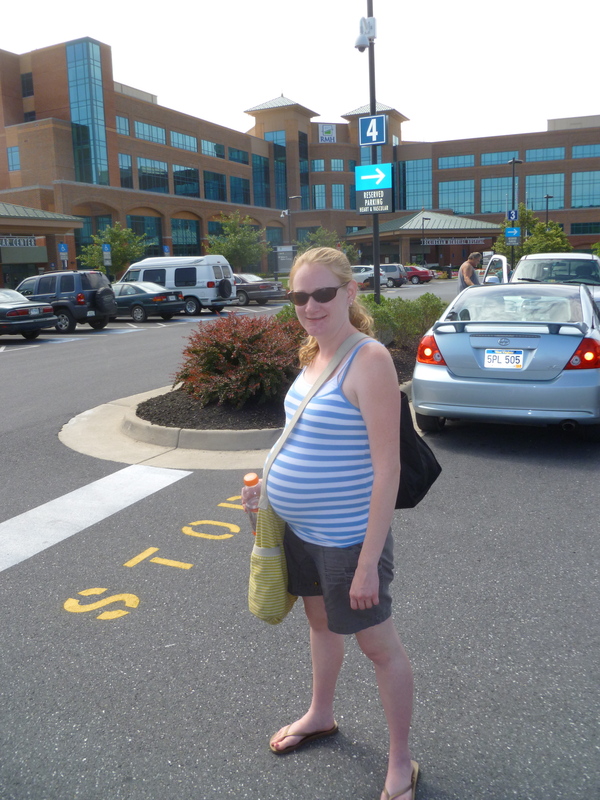 We were at 41 weeks, so one week overdue. 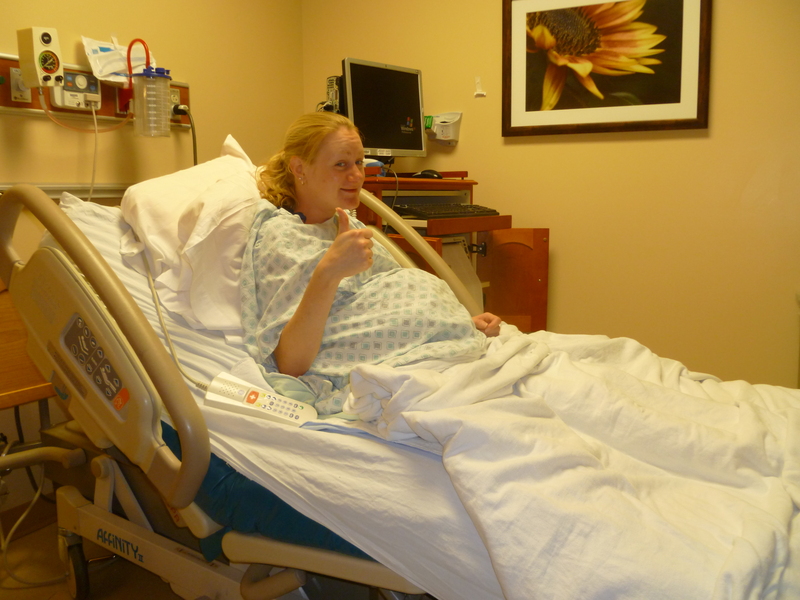 At our checkup on Wednesday, the midwife decided that due to several minor issues, it would be better to induce Melissa and start labor. We were sent to the hospital that night, with the understanding that the induction would begin either Wednesday or Thursday. It began in earnest on Thursday. It wasn’t an easy labor. 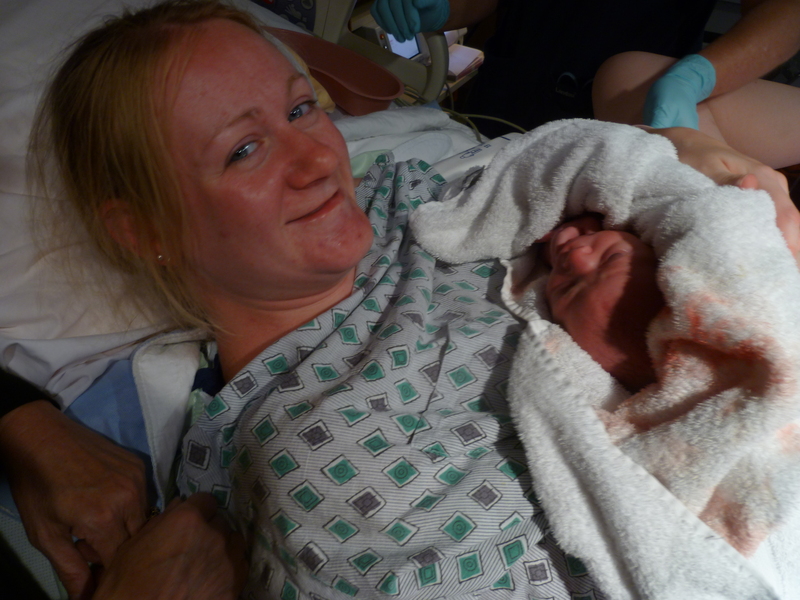 Melissa wanted to deliver without an epidural, so we started that way. 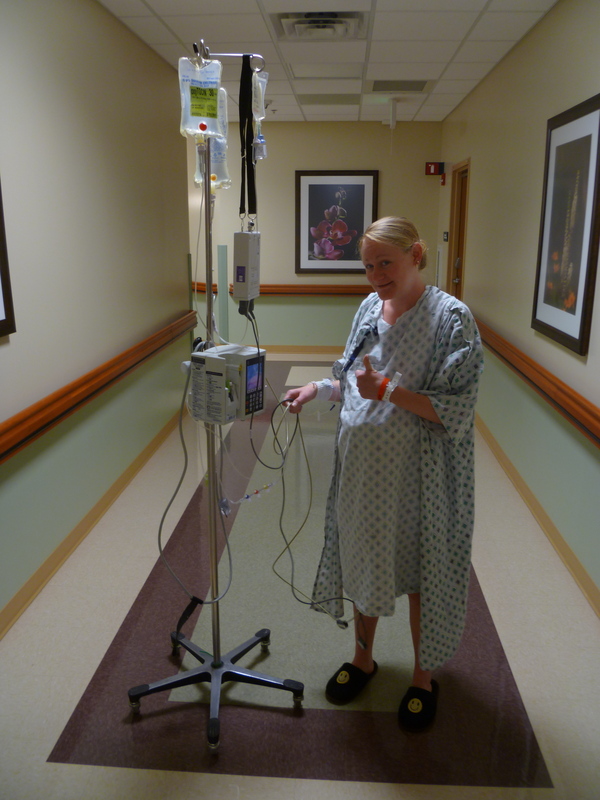 After being in labor with Pitocin for 11 hours, the contractions had become very strong, very painful, and very close together (she’d have about 30 seconds between to rest), but were not strong enough to move the baby forward. 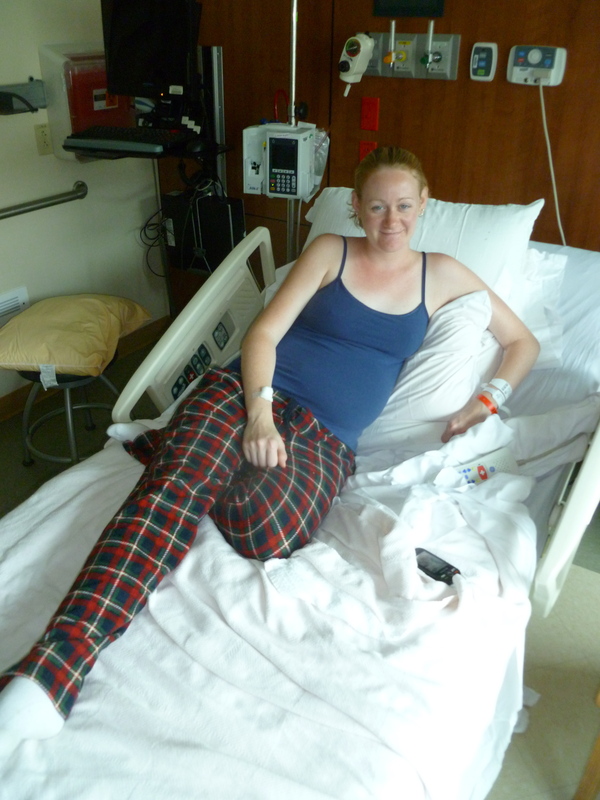 So, after talking it over with the midwives, Melissa decided that an epidural would be best. We also really wanted a May baby, and we made it by 25 minutes! We still call him Bean, but his formal name is Elijah or Eli. He’s an energetic little guy, took to nursing without any problems (he nurses like its his life’s ambition), and loves cuddling. We can’t wait for you to meet him! Here are some photos of the process! Last picture before the hospital! We’ve made it to our first (of three) rooms. Still in good spirits! Hooked up to just about every piece of diagnostic equipment in the room. 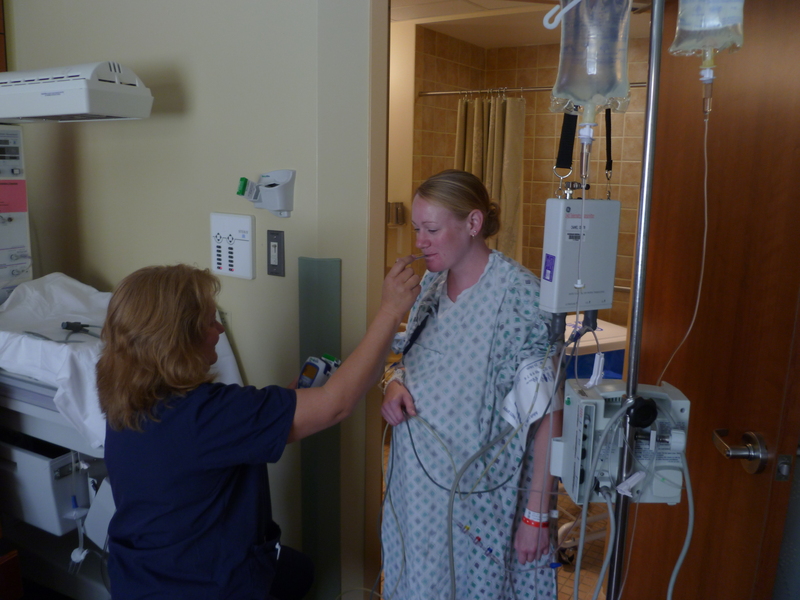 This is one of our excellent nurses, Teresa. Walking around the maternity ward. We named the IV pole “Henry.” The nurses said they had never had anyone do that. 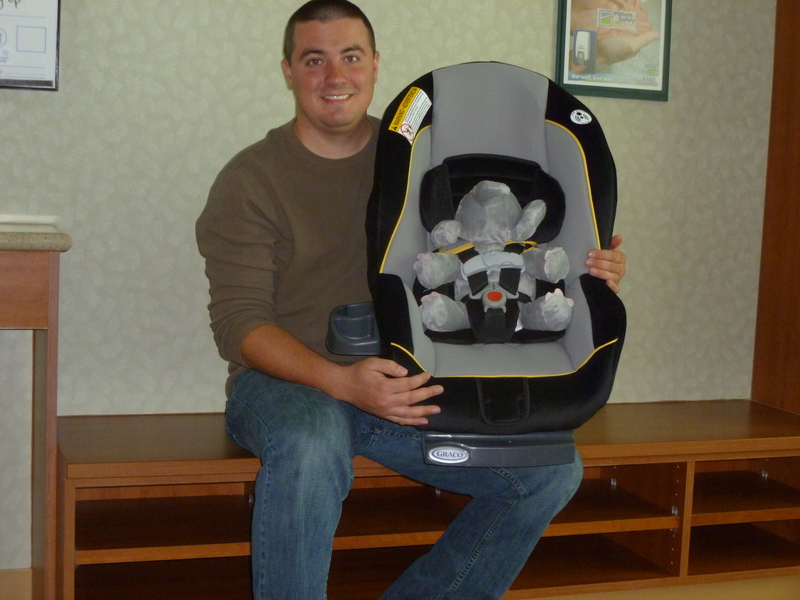 Peanut (Eli’s stuffed elephant, from his Aunt Mary) helped me practice with the car seat. I’m pretty sure I’ll be able to get Elijah home safely now. We knew we were getting close when “baby stuff” started being parked outside the room. We ended up with 4 carts outside before the end. 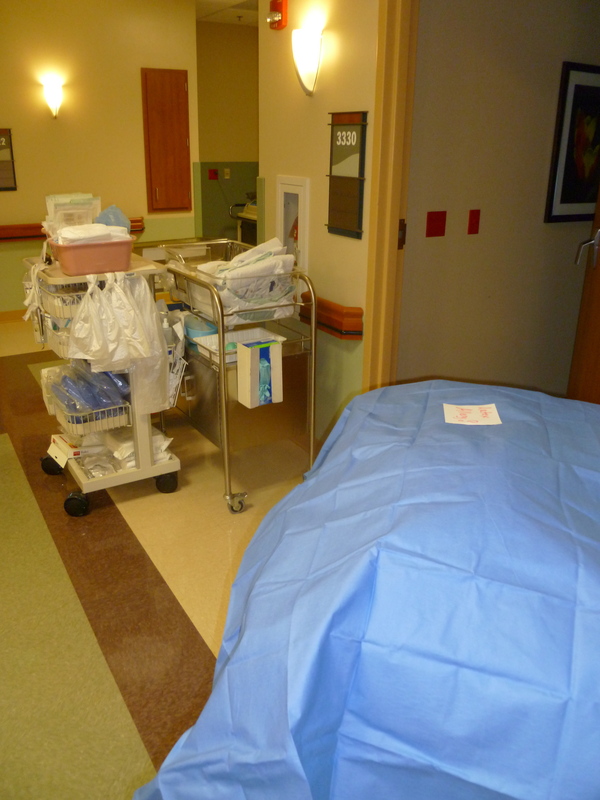 I didn’t take any pictures of labor…sorry. You really don’t want to see it anyway, it was pretty traumatic. I was spending most of my time trying to keep Melissa from killing someone (mostly joking there…), so I couldn’t take pictures anyway. 6 pounds, 9 ounces, 18 inches long, and a GREAT set of lungs! He’s a tiny little guy! 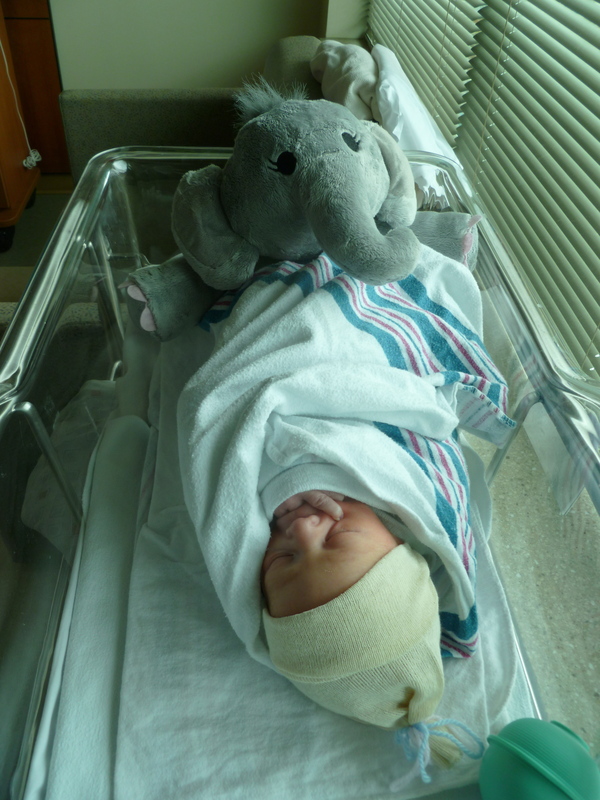 A baby and his elephant. Melissa is feeling much better! Committed: Climbing North America's 50 Classics.